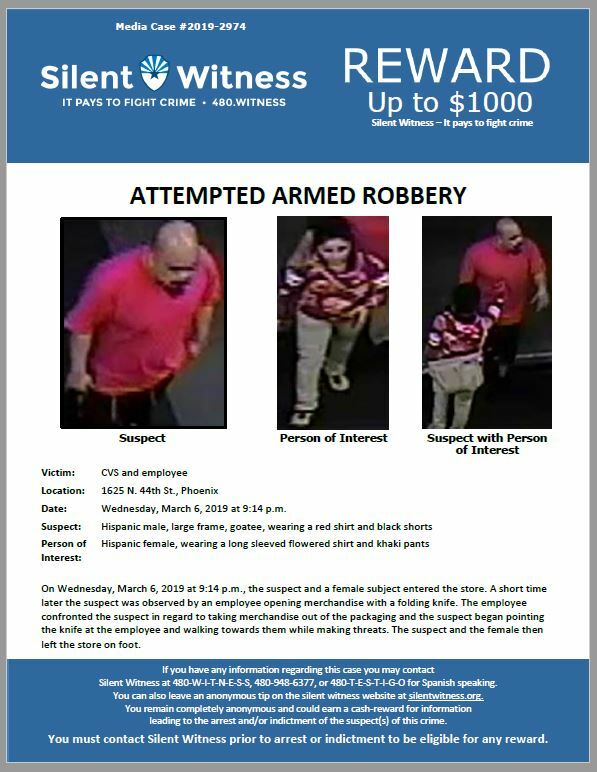 On Wednesday, March 6, 2019 at 9:14 p.m., the suspect and a female subject entered the store. A short time later the suspect was observed by an employee opening merchandise with a folding knife. The employee confronted the suspect in regard to taking merchandise out of the packaging and the suspect began pointing the knife at the employee and walking towards them while making threats. The suspect and the female then left the store on foot.